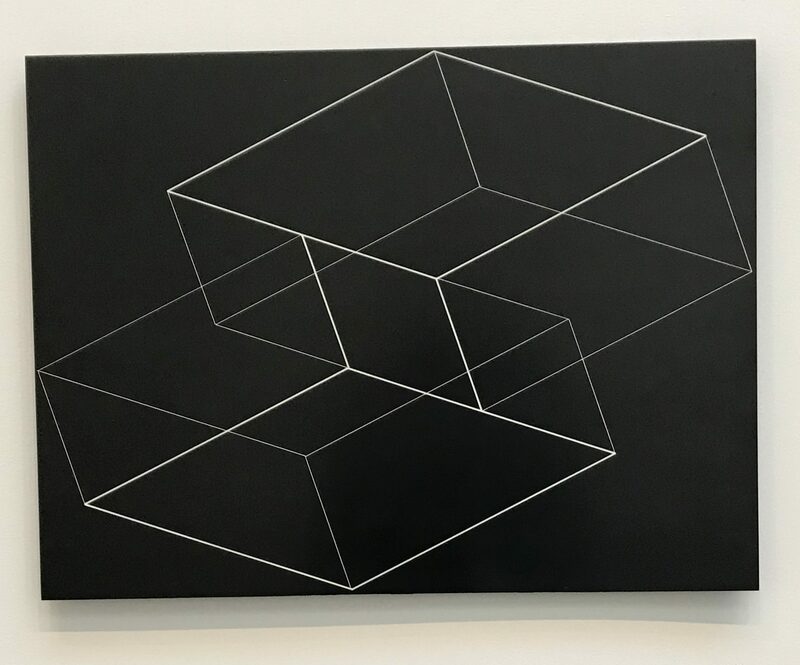 David Zwirner is presenting the exhibition “Corners, Barriers and Corridors” at the 20th street gallery. 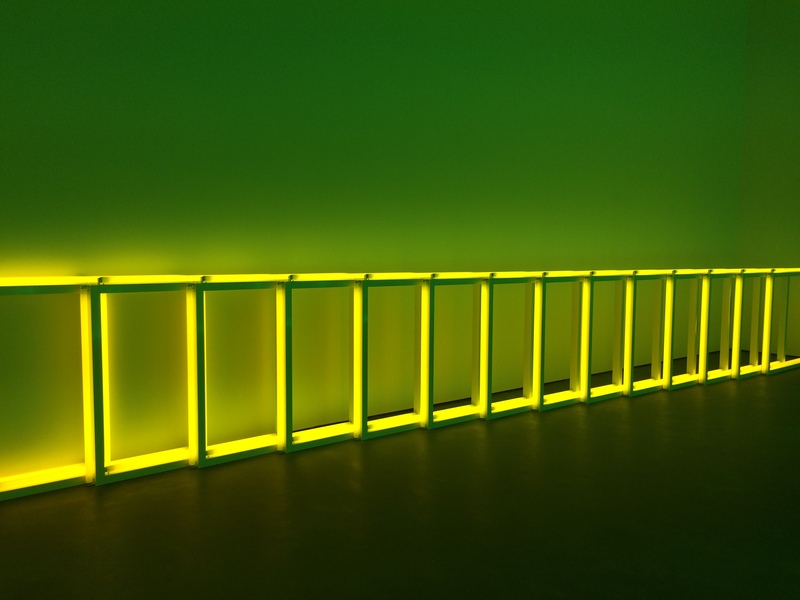 This show presents the work of Dan Flavin from the late 1960’s into the 1970’s. 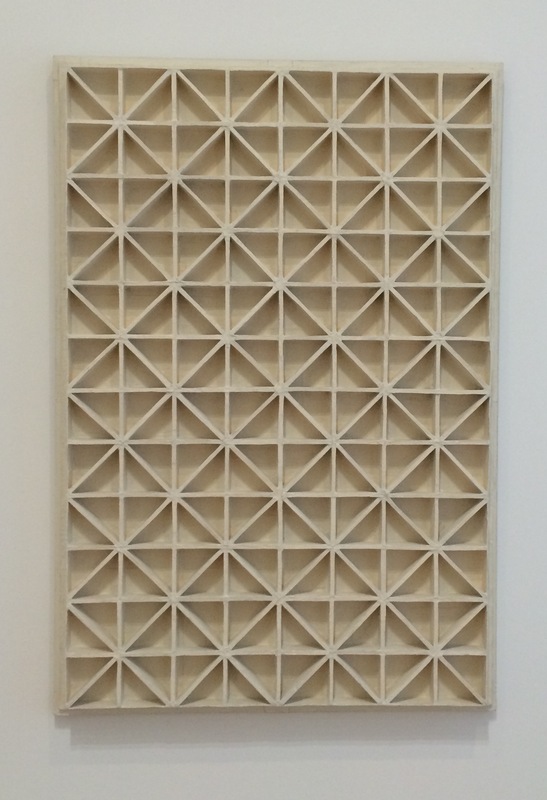 The artist is famous for his use of fluorescent light constructions to define geometry within a space. 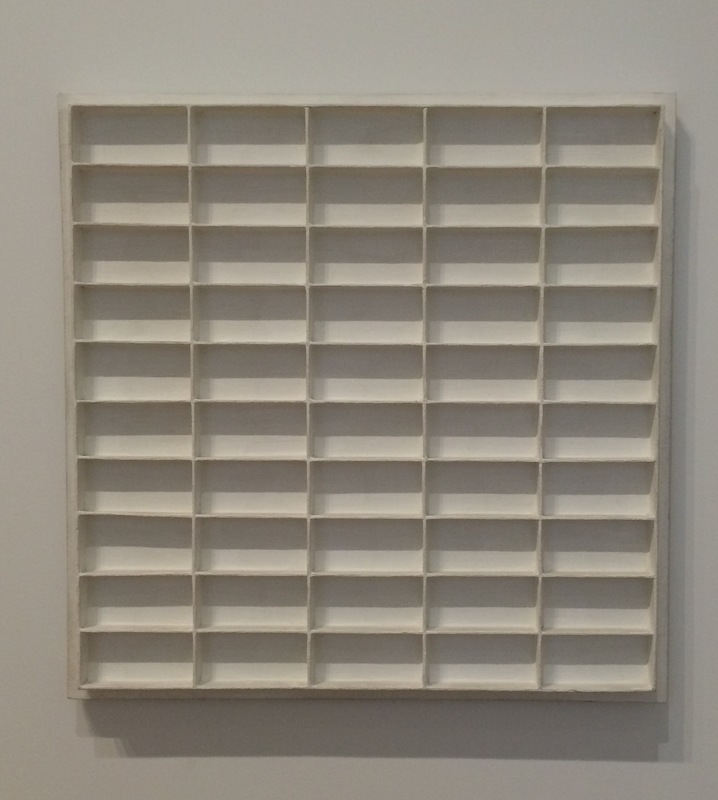 Much of Flavin’s work involved the use of straight lines and grids. 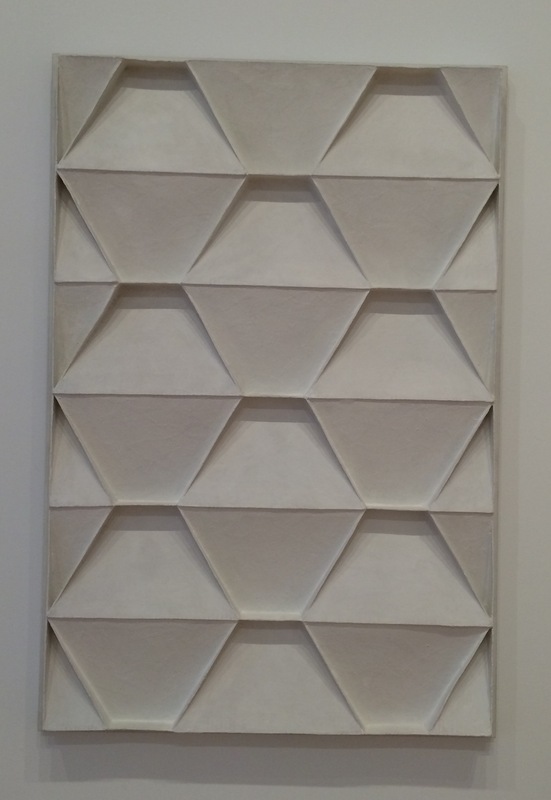 I was particularly happy to see a work that was all about circles. Situated in the corner of the room “Untitled (to a man, George McGovern) 2” from 1972 is made up of a series of columns of circles of light. They descend in order from a height of ten circles to a single circle. 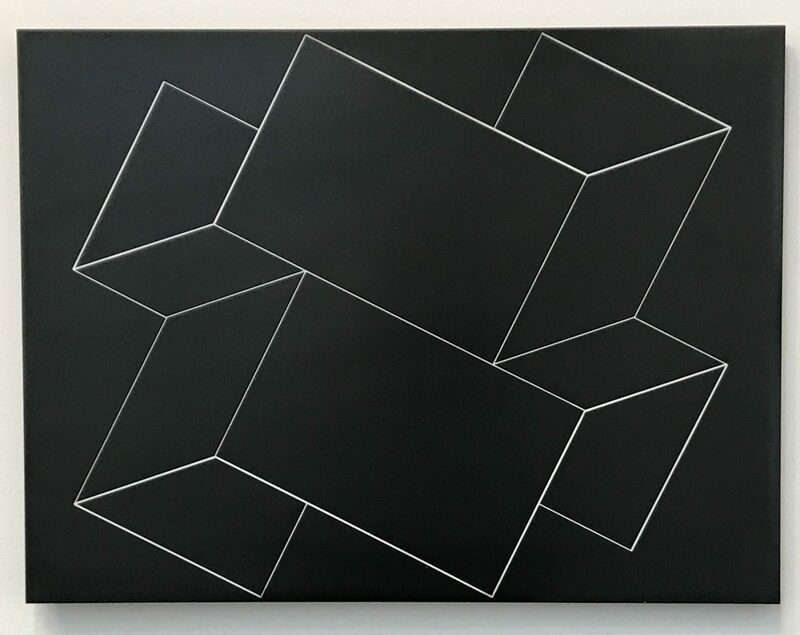 The juxtaposition of the curves of the circles with the straight edges of the corner space and the placement of the circles with in a grid creates an interesting tension. The 45 degree angle produced by the descending columns gives the illusion that the circles are rolling down the construction. 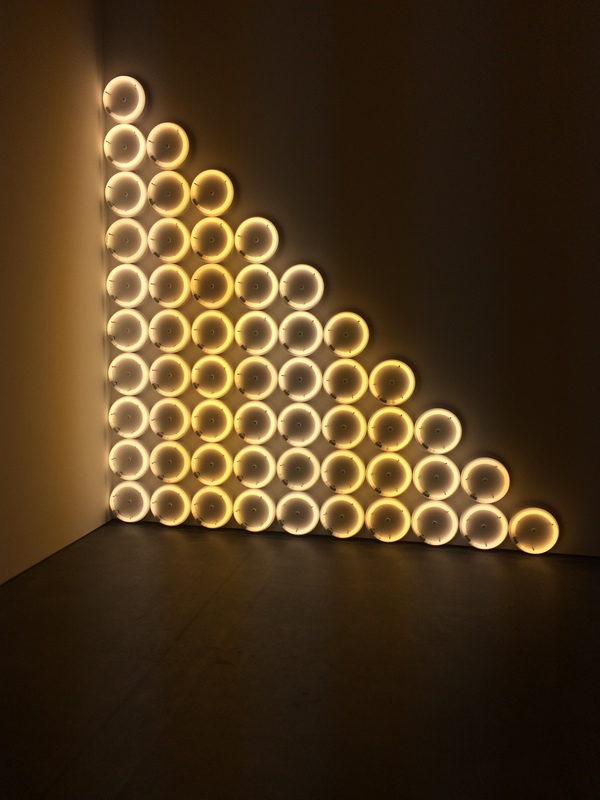 Dan Flavin is known as a minimalist and this work uses only the most basic elements, circles within an environment of straight lines, but the impact is impressive.